As of 2014, some disadvantages of Microsoft Word include the unfamiliar new Ribbon interface, too many options that can be very confusing, cost, vulnerability to virus attacks, and large files due to meta information getting saved alongside Word files. Microsoft Word is the most popular word processing program globally. However, it has some weaknesses that drive users to alternative word processors. As of 2014, the introduction of additional features in newer versions has made the program a complicated application. Although this has the advantage of turning Word into a one-stop shop, it complicates its operations for users who are only interested in the basic applications. For instance, the new Ribbon interface introduced in Office 2007 and carried along in Office 2010 required some learning from users who were used to the popular drop-down menu and toolbar navigation procedure. 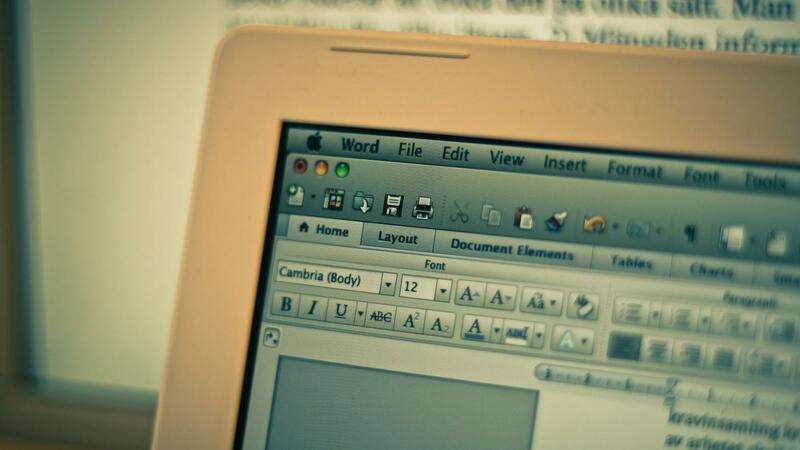 In addition, many options continue to be integrated into Microsoft Word, such as desktop publishing. Loading Word with too many options makes it unnecessarily complicated for people who only require typing and printing out documents. By virtue of being the number-one word processor, the application is installed on many computers and thus is highly vulnerable to viruses and malware. This requires significant investment in reliable antivirus programs and malware scanners to avoid exposing one’s computer to these threats. Additionally, when a user saves a Word document, a lot of information gets saved along with it, enlarging its size. These large files consume a lot of storage space, necessitating investment in storage media. How Do You Save Word Documents As JPEG Files?